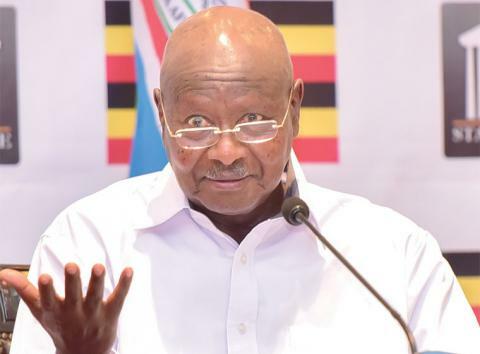 Ugandan President Yoweri Museveni has confirmed that he will run for the presidency in the country’s elections slated for 2021. Museveni, according to a Monday statement from the ruling National Resistance Movement (NRM) party, said he was pleased with the confidence various party organs have in him. “Since I am still very able and I happen to be among the most conversant with this journey, I happily agree to serve,” Museveni was quoted as saying. “I am very convinced that together we can make NRM invulnerable, not vulnerable to any attack when we budget well, deal with the issues of the youth and job creation among others,” added Museveni, who is also the chairman of the NRM. “I thank my colleagues in CEC and the NRM Parliamentary Caucus for forwarding my name to continue adding more steps on our mission-oriented journey,” Museveni said. Museveni has been in power for more than 30 years.Ugandan legislators in 2017 voted to remove the age limit of 75 years for running for the presidency. Museveni is now 74. A statement from the National Resistance Movement (NRM) party, issued on Sunday, said the NRM parliamentary caucus endorsed Museveni during their retreat in Kyankwanzi, central Uganda.